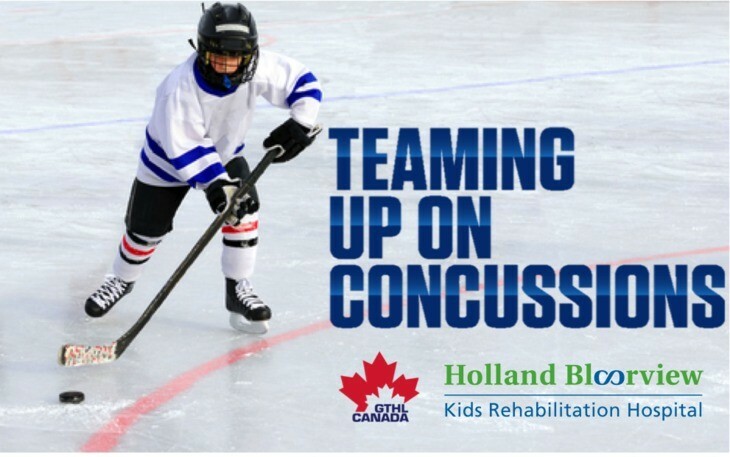 The Greater Toronto Hockey League (GTHL), in conjunction with Holland Bloorview Kids Rehabilitation Hospital, has implemented new policy surrounding concussions for the 2016-17 season. This policy will be one of the most comprehensive concussion policies to date for minor sports in Ontario. The GTHL has taken measures to become a leader in concussion prevention and education to prioritize the safety of its player’s. The new concussion policy ensures players who are suspected to have sustained a concussion during GTHL activity do not return to activities before being medically cleared by a professional. In addition this new policy provides clearer outline on how team officials can identify suspected concussions, provides pathways for all players with suspected concussion to seek medical attention, as well as a hockey specific return to play protocol that ensures all members of the GTHL community are equipped with the tools needed to identify, manage, and prevent concussion.